A 501c3 nonprofit organization dedicated to making a beautiful, litter-free city through education, public awareness, and community involvement. 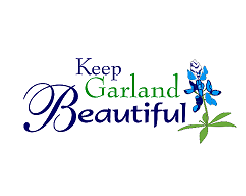 Keep Garland Beautiful is governed by a volunteer board of directors. We are an affiliate of Keep Texas Beautiful and Keep America Beautiful. Please use discount code GARLAND15 at checkout to receive 15% OFF your order! When this discount code is used at checkout, we will donate a percentage of your sale back to Keep Garland Beautiful!